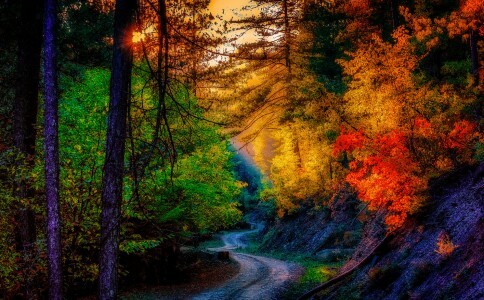 Beautiful woodland scene along a dirt road in the Aoos Valley of Ipiros, Greece. Credit: Special thanks to Christos Vladenidis for granting permission to use this photograph as a jigsaw puzzle. Visit Christos Vladenidis's Flickr photostream. See all jigsaw puzzles based on Christos Vladenidis's photographs.